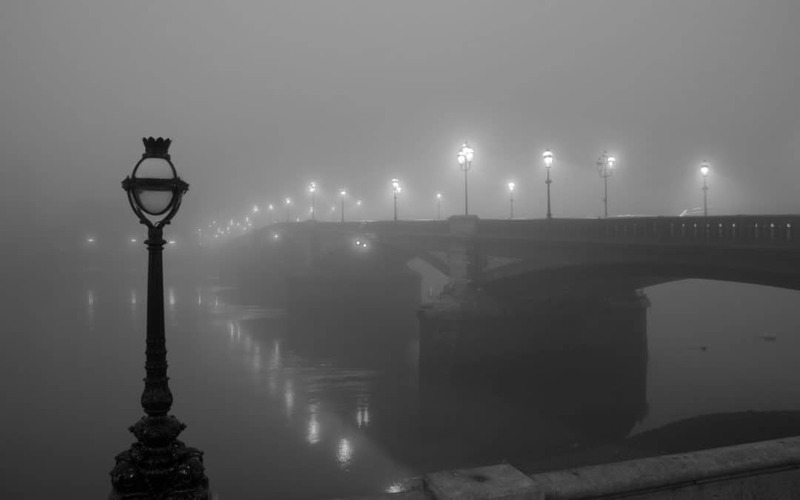 London, a city with an age-old history of revelations and an even longer history of secrets hidden in the mist of the Big Smoke. No wonder it has become a cultural phenomenon referenced in tales of fiction from all around the globe. Just think about it: What unites Jack the Ripper, Sherlock Holmes, Marry Poppins, James Bon, and Harry Potter? London does. But what if I told you that somewhere on the bottom of London’s seemingly endless barrel of folklore lie true stories. Some are hilarious, others are blood-chillingly creepy yet all very-very real. Do you have a love for bacon? Because it sure as hell has a taste for you. No, I don’t mean actual stripes of fried bacon on your morning toasts. Sure, the cardiac attack on a frying pan of a treat will get to you sooner or later, but it won’t be tearing you limb from limb, but the Black Sewer Swine of Hampstead will. No one knows the story in full but everyone knows that there was a time when some pigs got trapped in the sewers. There tahey feed, breed… and grow. And they will do so until finally released to roam the streets of London. Can NY’s gators do that? Would you believe me if I told you that there are no streets in London? Wait, hold on to your hats and let me explain my case before handling my sorry bones to a mental institution. Yes, I do know that we have cars and buses and cabs and they all drive on something, but that particular thing – it’s not a road. It is an avenue, a square, a lane, but not a road so “technically” I am correct and “technically correct” is the best kind of “correct” out there. You see, most of the streets on the London’s map were named before the word “road” was introduced into the English language. That’s why we don’t have any. We’ve had the Tube for quite a while now. It has been a gem of London before many other things like, say, a decent system of medicine. Yes, people were dying a lot in hospitals back in the day. The mortality rates were off the charts. But where did all the bodies go? You can’t just openly carry them in brought daylight without causing unnecessary panic in those faint of heart. The Royal London hospital came up with a perfect solution – the Tube. So, even today, travelers are to be wary of the train they are sitting late at night or they just might end up in a very wrong point of destination. Yes, it is berry common to run into a large, hairy groaning creature in Hackney today. Just feed the hipster some falafel and he will go away to mind his own business. However, this was not the case in 1981 when four kids have stumbled upon what they have called a giant grey monster. The rumor says it that it can still be heard at dusk so, be wary of where you are walking in Hackney. This may sound like an anecdote but I have heard the tale so many times from different people that perhaps there is at least some grain of truth to it. So, the tale usually happens to a friend of a friend (don’t they all?) that had to look after a dog while his girlfriend/friend/family member was on a leave away from the Big Smoke. The dog, of course, had died because of who knows what and the “friend of a friend” had to carry the corpse to a vet for incineration. So that “friend of a friend’, lacking a car – because who seriously owns one in London and why? – chose to stuff the former man’s best friend into a suitcase and take the Tube as if any other Londoner would in this situation. Long story short, the suitcase was stolen by a thief who has run away while the doors of the train were closing on one of the stations. What’s the punchline? Imagine the fiend’s surprise when opening the suitcase with the prize, but given the frequency of me hearing this tale, I can only imagine the unfortunate robber in a flat filled with dog carcasses. The legend says it that when the last ravens leave the Tower of London, the crown will fall and the kingdom will perish. That would have been a fun little tale for the kids and the tourists but that’s not the case. Why? Because it seems like every person in the Buckingham Palace cares about it more than they do about Brexit. Did you know that somewhere out there lives a person with the title “Ravenmaster” in his or her resume? Yes, we have imprisoned ravens in the tower who, by the way, are officially listed as soldiers of the British Kingdom, a person that takes care of them and all that stuff. The Ravens are so significant that Churchill ordered and arranged for protection of the birds during WWII. Charles the Second, also known as the Merry Monarch had a lovely habit – he used to pick flowers in the Green Park for his lovely wife. What a sweet guy, right? Well, not if you find out that he has been picking the flowers there for other women as well. Women that would be named with men’s names in a cellphone today if you get what I mean. The queen has found out about Charles’s love for flowers in all possible senses and she has ordered for all of them to be removed from the park. I nice move but I think that the Queen focused on the wrong side of things considering that the Merry Monarch ended up fathering at least 12 illegitimate children.